Contest: Let’s Panic About Babies! Spring is in the air, and with that warm sunshine and hint of birdsong comes BABIES. TONS of babies. I’ve purchased three baby gifts in the past week, and have some more on the horizon. 1. Leave a comment with your favorite piece of parenting advice. Leave a comment for each item to be entered! This contest is open to US residents only. I’ll pick a winner on Friday, May 4th, which means you’ll receive it just in time for Mother’s Day! EDIT: We have a winner! Random.org selected #2, which is Erin! Erin, be on the lookout for an email! Babies Baby book Contest Let's Panic About Babies! Don’t panic. If you start to panic, spend a quality moment with your Adipose stress reliever. My favorite is that when mom and dad are in disagreement, rather than express that in front of a child (and teach them the “divide and conquer” strategy), have a signal, like pulling at an earlobe, which signifies to the other parent that they need to leave the room, work out a coherent strategy, and then come back as a unit and inform the child. 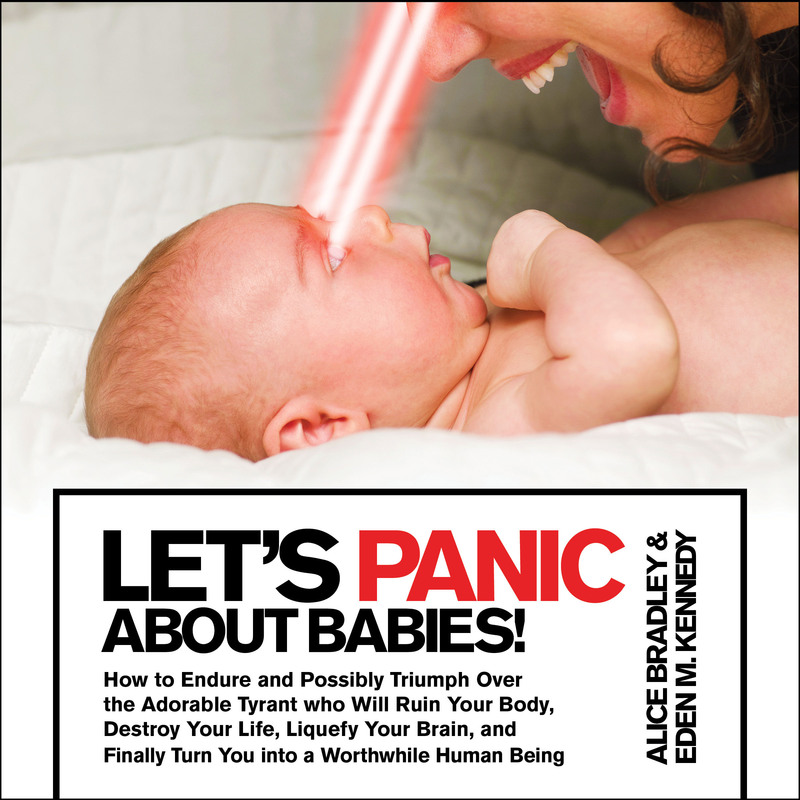 I love the title, Let’s Panic About Babies! There is so much to think about and panic does set in sometimes. Ultimately, I am learning a little person definitely makes parents better people. I also want to see the What to Expect When You’re Expecting movie, as I read the book last time I was pregnant. This would be a great read for this time. “Once they’re born it’s illegal to kill them, but you CAN ground them for LIFE!” – anyone who’s survived three boys less than two years apart, one teenage step daughter and a wise cracking blonde joking step son, can completely understand this. I’m not a parent myself, but I have always liked the advice to choose your battles wisely. For example, if you relent on the goofy haircut but stand firm on completing one’s homework, your kid will know what’s most important and not feel the need to rebel because “I can’t do anything.” At least, that’s how it always seemed to me. Once you have kids, you aren’t allowed to take showers. Did you know that? If you try to, they will break into your room, eat all the chocolate you didn’t realize you had hidden in your closet, flood the other bathroom, and poison the dog. I know. Seeing as I had a dream last night (read: NIGHTMARE) that Dikla was pregnant, sure, why not?